LOS ANGELES -- Singer Chris Brown came out of his Los Angeles home peacefully Tuesday after an hourslong standoff with police who responded to a woman’s call for help. Police Lt. Chris Ramirez said several people were escorted from the residence after a search warrant was served. No arrests had been made and everyone has been cooperative, he said. Police said the woman who made the call for help about 3 a.m. was not inside the hilltop estate in the San Fernando Valley. Ramirez did not identify the woman or elaborate on the assistance she needed. He did not know if she was injured. Brown’s attorney Mark Geragos arrived at the home shortly before the warrant was served. Earlier, Brown posted several videos to social media declaring his innocence. The singer has been in repeated legal trouble since his felony conviction in the 2009 assault of his then-girlfriend, Rihanna. Calls and emails seeking comments from Geragos and other representatives were not returned Tuesday. After several missteps, Brown completed his probation last year in the case involving Rihanna. In 2013, Brown struck a man outside a Washington hotel and was charged with misdemeanor assault. The singer was ordered into rehab but was dismissed from the facility for violating its rules. He spent two and a half months in custody, with U.S. marshals shuttling him between Los Angeles and the nation’s capital for court hearings. In another incident while in treatment, Brown allegedly threw a brick at his mother’s car following a counseling session. This was after Brown had completed court-ordered anger management classes. 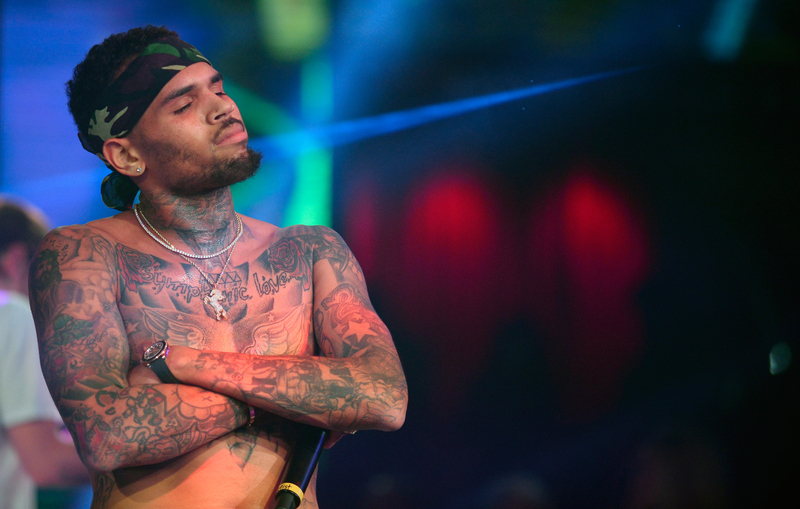 In January, a Las Vegas woman alleged that Brown hit her and took her cellphone. Police investigated but did not find evidence to file charges.